Review published in IJPE, Vol. 4, No. 2, April 2008, p. 199. Chapter 5: Opportunity Analysis: "The Manual Approach"
consulting firm (RCI) started by their father and have piled up experience of teaching and mentoring of several analysts in the PROACT methodology. 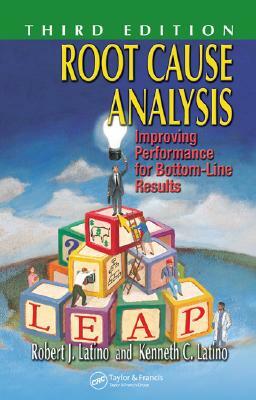 The authors claim to discuss Root Cause Analysis (RCA) in this book in the style of teaching a workshop while indicating how RCA fits in with the initiatives like TQM, RE, RCM and Six Sigma. RCA is particularly important and useful for a large asset-intensive company. The book explains how and when to go about applying RCA and sets a strategy to direct personnel to do it in such a company. Once a strategy map of the company is created considering various perspectives such as corporate, assets, work practices, knowledge and experience, which vary from company to company, it requires relating the higher level objectives to lower level objectives. Key Performance Indicators (KPI) are carefully selected and monitored to measure the effectiveness of a maintenance and reliability program. A score board serves to indicate which events are contributing to poor performance. Several definitions have been put forward by various analysts but the simplest way to define it is a structured approach of WHAT underlying causes need to be fixed, not HOW to fix them. All undesirable events have their roots embedded in physical, human and latent areas. RCA aims to dig them out and help implement corrective actions and thereby improve upon the bottom-line results. Much of the portion of this book devoted to PROACT methodology and software developed by RCI. The book presents case histories from 6 US companies covering over 52 pages (nearly 20 per cent of the book), which makes this book useful to a practicing reliability and maintenance engineers. The reviewer would like to recommend this book to all reliability and maintenance engineers for a serious look at the material presented in the book and to reliability schools for graduating engineering students. It is good book that explains the root cause analysis approach to engineering systems.